Simon Mignolet’s situation is, he admits, ‘not easy’. However, the Belgian is somewhat philosophical about his status as Liverpool’s second-choice goalkeeper given the standing of the club’s established No.1. “Of course it isn’t easy. 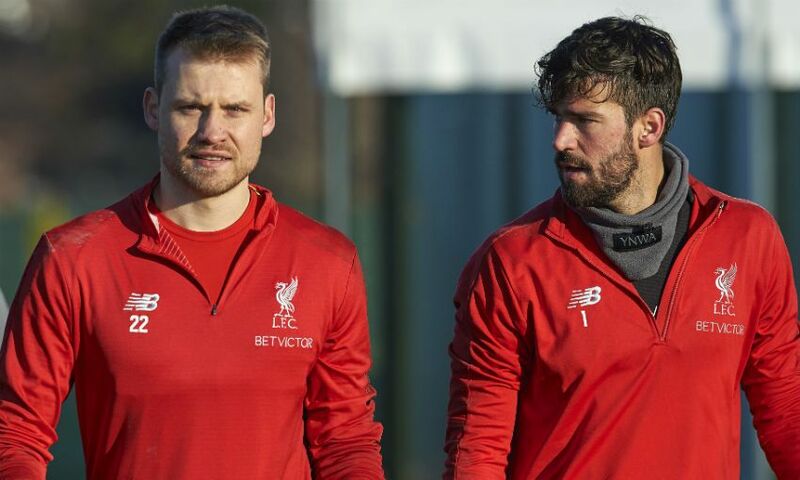 I’ve spoken about it before - it’s not something that you want to be doing, but the team is doing so well and you just try to help the team as best as you can,” Mignolet, who is set to start Monday’s FA Cup third-round tie versus Wolverhampton Wanderers, tells Liverpoolfc.com. “I’m behind Alisson, who is a really good goalkeeper - probably within the best five goalkeepers in the world, if not the best - and you can accept and understand it. “Not only between the goalkeepers, but I also know that I have to be ready for if anything happens or the team needs me, and therefore I have to be working hard on a daily basis for when the chance comes along or I get called upon. Match-winning saves and jaw-droppingly impressive distribution have been features of Alisson’s embryonic Liverpool career - factors that have contributed to the Reds’ elite defensive statistics this season. The Brazilian has registered 14 clean sheets in his 27 appearances for the club to date while, across Europe’s ‘big five’ divisions, only Paris Saint-Germain can match his side’s record of conceding just 10 times in league football so far this term. But what exactly are Alisson’s best attributes? “I think he’s just a naturally good goalkeeper,” begins Mignolet’s expert assessment of his teammate’s qualities. “He’s got the talent and everything comes natural to him, which makes him a really special goalkeeper.